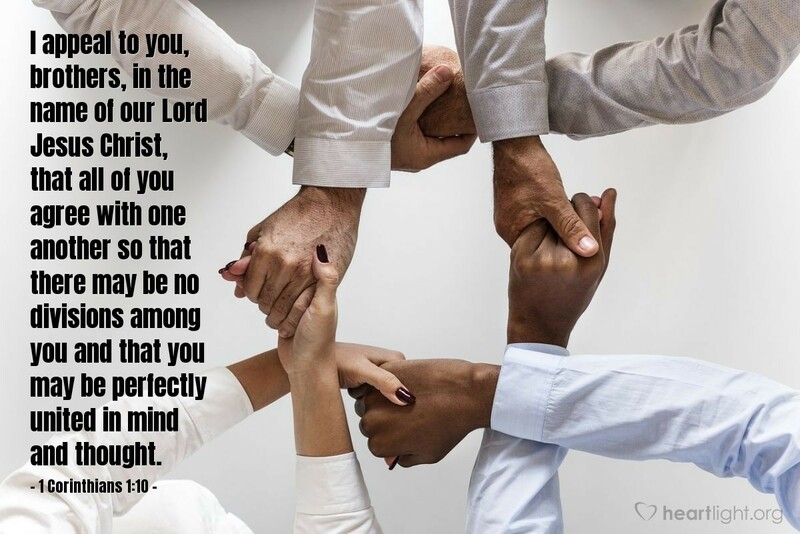 If people in our congregations are ever going to get along, the leaders of those churches must remind us of how important it is. Jesus' dying prayer was that we would be one. Why? So the world would know that the Father had sent him. Unity is not important, it is essential; not just as a theory or theology, but as a daily practice among the people who claim Jesus as Lord. Lord Jesus, you have presented all of my prayers to our Father and I thank you for this grace. I promise that I will do all I can to bring glory of our Father, to live at peace and to serve in unity with those who belong to you. Please bless our church family with more passion for the unity that you desire. In Jesus' name and through the blessed Holy Spirit I pray. Amen.